A lot of bloggers struggle when it comes to churning out new content on a regular basis. 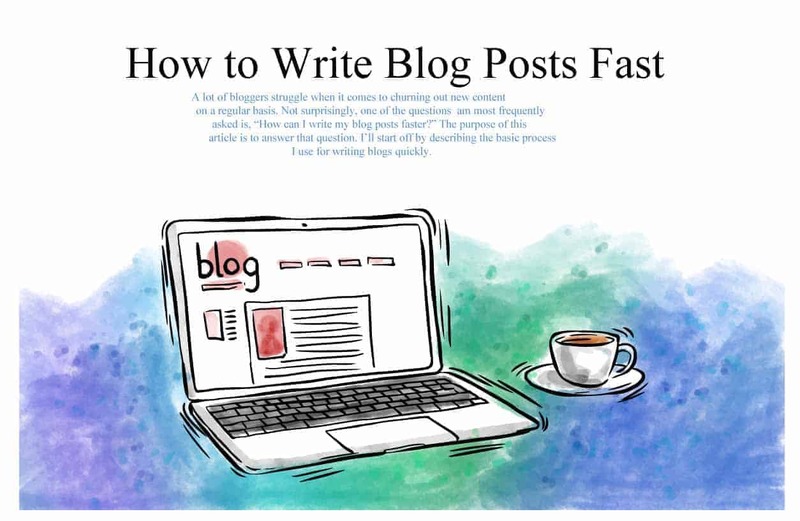 Not surprisingly, one of the questions I am most frequently asked is, “How to write blog fast?” The purpose of this article is to answer that question. I’ll start off by describing the basic process I use for writing blogs quickly. Next, I’ll provide some specific guidelines for each of the main types of posts, and then slip in a few more general tips. So, let’s get started! How to Install OpenLiteSpeed, PHP 7.2, MariaDB on Ubuntu 18.04? Which Social Media Marketing Tool is Best For You? How To Speed Up Your WordPress Site? Get the Best Information, Tips & Tricks About Wordpress, Site Optimization, Latest SEO News & Monetization Tips Straight Into Your Mailbox.